worth memorizing can simply be looked up online. Schools should offer only open-book, open-note tests. Rote memorization of anything is just following a model of education that has no place in a post-industrialized society. Taking what he said at face value and without qualification, I couldn’t disagree with him more. Where would we be if no memorization was required for anything? I have a relative right now in the Air Force’s Defense Language Institute who is immersing himself in a foreign language so he can effectively translate radio transmissions from overseas. I, for one, am glad the military hasn’t adopted the attitude of “memorization is pointless” when matters of national defense are on the line. As Dr. Norman Doidge discusses in his fascinating book, The Brain That Changes Itself, up through the nineteenth and early twentieth centuries a classical education often included rote memorization of long poems, even in foreign languages, which strengthened one’s auditory memory. Then in the 1960s educators dropped these traditional exercises from the curriculum, because they were too rigid, boring, and “not relevant.” He goes on to say that because of this shift, we’ve paid a huge price as a culture, losing a lot of our auditory brain power. For centuries, educators have seen the incredible benefits of memorizing facts and long texts. The discipline of memorization helps to train the mind to focus for longer periods of time and develops a person’s language skills and vocabulary. When it comes to memorizing the Word of God, these benefits are brought to a whole new level. We aren’t just training our mind to focus: we are training it to focus on truth. We aren’t just developing our vocabulary: we are learning God’s vocabulary. We are weaving His thoughts into our minds. Remember, like many writings in pre-literate cultures, the Bible was written to be read aloud for instruction and memorization. Yemenite Jews had their children memorize the entire Torah, the first five books of the Old Testament, and they did this chiefly through oral recitation. The blessings training our children to memorize Scripture are too numerous to mention, but here are a few. It teaches our children to discern the will of God. Romans 12:2 tells us to be transformed by the renewing of our minds so that we would be able to discern what the will of God is. As our children understand God’s heart through his revealed will, they can better discern his will in all areas of life. It makes our children fruitful and successful. Psalm 1 says that the man or woman who delights in the law of the Lord and meditates on it day and night will be like a tree planted by streams of water—in due season such a person will bear fruit and his leaves will never wither. It prepares our kids to combat sin. When Jesus fought the devil’s temptations in the wilderness He did this by quoting memorized portions of Scripture (Matthew 4). The psalmist said that he stored up God’s Word in his heart so that he would not sin against God (Psalm 119:9,11). It prepares them to teach others in wisdom. Colossians 3:16 calls us to make the word of Christ dwell richly in us, giving it ample space in our hearts, so that we could admonish one another in all wisdom. It trains them to be righteous. The Scriptures are inspired by God and are useful for training someone in righteousness (2 Timothy 3:16). 14:2). When our kids memorize Scripture we give them words they can take with them into their times of prayer. It brings them joy. Jeremiah said, “Your words were found, and I ate them, and your words became to me a joy and the delight of my heart, for I am called by your name, O Lord, God of hosts” (Jeremiah 15:16). Take advantage of all the tools you can find to reinforce Bible memory in your kids. Use songs, apps, and curricula. Take advantage of your daily routines, like bedtime or mealtime prayers, to reinforce Scripture memory. Use handwriting practice to get the Scriptures into their fingertips. Don’t feel the need to reinvent the wheel. 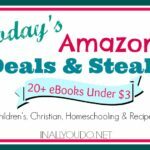 Motivated by these promised blessings, give your kids the gift of Bible memory. If you would like to check out a sample of the Write the Bible copywork printables, you can enjoy The Lord’s Prayer for FREE!! Simply click on the banner below to download your free copy. handwriting, vocabulary, dictation, and Bible memory. Follow them on Twitter, Facebook, Pinterest, and Google+. 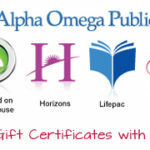 Alpha Omega Publishers HUGE 20% OFF Sale @ Hearts at Home ~ ONE DAY ONLY!!!! Love it! 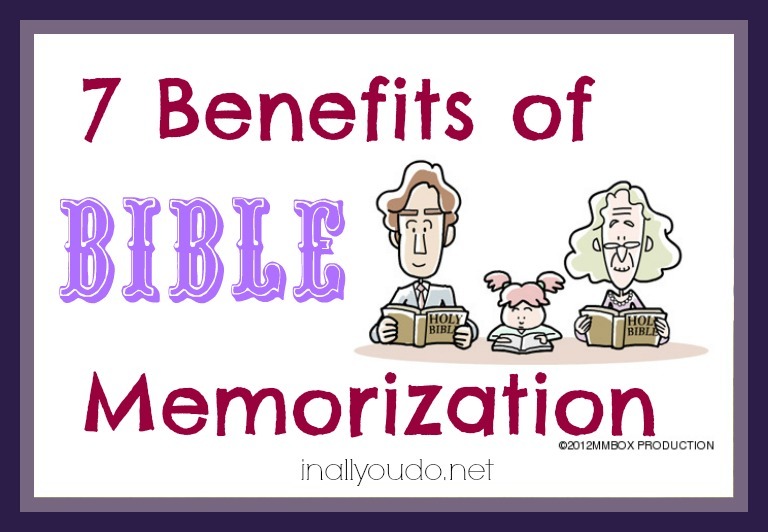 I also think memorization is important! We are just starting to work on Bible Memorization. Up until now we haven’t done much with it. But we’ve had some behavior issues and I think this is going to really help us!! Tricia and Luke are amazing and so are their products!!! I’m super excited! Thanks for stopping by @chickbunhomeschool:disqus!! !